One of the plus points of Britain being part of the European Union is that British citizens can legally work in any of the EU member countries. No work permit is needed to work in any of the EU countries although there are still a few issues to consider. 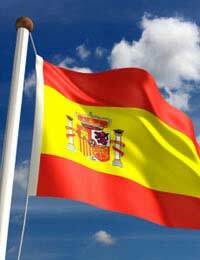 Sunny Spain attracts a huge number of British workers each year, especially to its sunshine coasts and islands. However, unemployment in Spain is quite high and jobs may not be too easy to find unless workers head for the major cities. Seasonal work for students and young people is usually easy to find in the Spanish resorts. Working legally and paying tax means that workers will be entitled to free medical care and social security. Many people dream of working and living in beautiful Czech cities such as Prague. The Czech Republic joined the EU in 2004 and is a relatively new yet fast growing country within the EU. Unemployment in the Czech Republic is high and salaries are a tiny percentage of those found in countries such as Britain. However living expenses such as accommodation, food and drink are extremely cheap, so telecommuters can live very well in the Czech Republic. France is one of the top destinations that attracts British people like a magnet. Paris is not only one of the most popular tourist destinations in the world but also draws in a huge amount of British workers. The French do seem to be concerned about immigration and of course fluent French would be an asset. On the plus side Paris is only an hour away from the UK and the government actually gives French workers money to spend on their lunch. On the minus side Paris is ranked as one of the world’s most expensive cities in which to live. Belgium’s capital city Brussels attracts a huge number of graduates every year. Those looking for financial work or working within the EU institutions should consider taking a look at Brussels. A foreign language such as French will be a major asset although Brussels attracts a huge number of workers from all over Europe thanks to its central location. Salaries will go a lot further in Belgium than in the UK and it is a beautiful and safe city to both live and work. The high level of taxation is one factor that does put British workers off this beautiful country. However, take the tax factor away and Sweden has the highest standards of medical care, education, housing and social welfare of any country in the world. These high standards are the reason for the high taxes. Stockholm and Gothenburg attract the highest percentage of workers and there are 11,000 British expatriates living in Sweden. Two of the most recent additions to the EU and the two member countries with the lowest cost of living, although prices are rapidly rising since inclusion. Property prices in both countries are low but also rising. Speaking the language is vital and most expatriates insist that a good standard of living can be had from around 1000 Euros per month. Taxes are also low and IT specialists are much desired in both of these countries. The strong growth in the Danish economy and a decrease in unemployment means that Denmark is a good bet for employment, especially in the research and medical fields. The Danish work environment is modern and informal and they are committed to continually educating their employees. The standard work hours are around 37 hours per week but these are not regulated by law. Income tax in Denmark can be high at around 45% to 64%. If you can stand the all year round high temperatures then Malta may be perfect. There are thousands of companies on Malta that require qualified staff especially within the IT, sales, and language translation sectors. Salaries are quite low when compared to the UK, usually around 800 Euros per month. Networking is one of the best ways to obtain a job in Malta but the island’s small size does mean competition for jobs. With almost five million unemployed in Germany it is a wise option to sort out employment before arriving. There are local job centres in the cities that are free to use but knowing the language will be very helpful. Germans love meetings and a strong management culture exists. Taxes will be paid if employees stay longer than six months, any less and they will be paid in the UK. Taxes are based on whether or not employees are married and have children. Single workers are hit with the highest taxes.